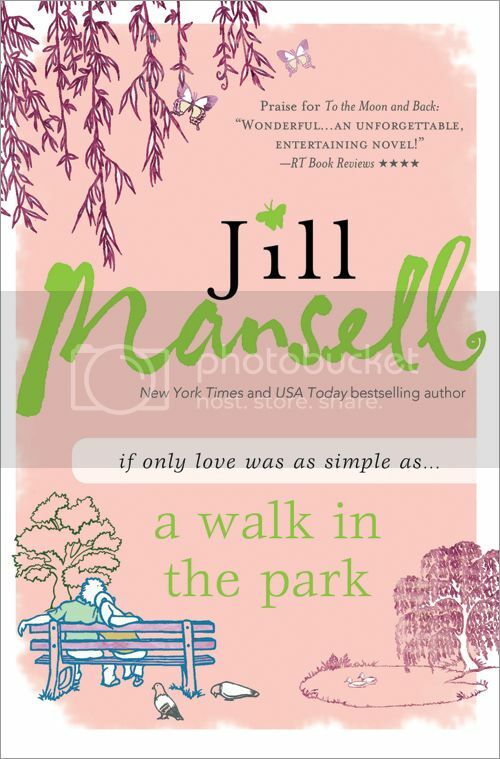 Today I am interviewing Jill Mansell and giving away a copy of A Walk in the Park. Good luck! Now, who is Jill Mansell? JM: I'm an ex-hospital worker who now has the best job in the world. I used to have a huge fear of being alone and now I sit at home on my own all day and write books, which my friends find hilarious. I have skinny legs and my nickname at school was Matchsticks. 2. You have a new book out in the US, A Walk in the Park (which was released earlier this year in the UK). What is it about? JM: It's set in Bath, close to where I grew up, and is about Lara returning to her home town after eighteen years away. I like to have a cast of different characters and intertwined storylines, because that's what real life is like. My speciality is mixing comedy, drama and sometimes tragedy - I love to make people laugh and cry - and creating characters who are flawed but likeable. 3. Secrets play a big part in this book! Are they fun to write? Or hard? 4. You have written many books, where do you get the inspiration for all these lovely stories? JM: All over the place! Sometimes when I sit on a train I'll look out of the window, see a particular house and imagine who lives there. Or I'll eavesdrop on a conversation and build it into a story. Restaurants are also great places for picking up ideas. I always thought everyone did this, but apparently not! 5. You always focus on many characters, and it sure is fun to get to know everyone. Is it fun to try and give everyone some sort of happy ending? JM: I write feel-good fiction and romantic comedy, so of course there are going to be happy endings. As an avid reader of the Amazon reviews of my books, I'm aware of two types of reviewers: some like all my characters to have happy endings and some hate the predictability of this. So I do try and mix it up a tiny bit, but lovely characters do deserve nice things to happen to them...it's just not necessarily going to be what you might have thought would happen. 6. What is the best thing about writing? JM: The commute to work is great! I come downstairs, switch the TV on, help myself to coffee and snacks and sit myself down on the sofa with my writing pad and fountain pen. If I ever want to feel lucky, I remember what it used to be like driving to work in the rain and snow, sitting in queues of traffic and praying my car wouldn't break down. The other lovely thing is the feedback. When I worked in the neurological hospital no one ever wrote to say thank you and to tell me how much they loved my work. It's just brilliant when readers take the trouble to contact me and say they've enjoyed my books. Makes me happy every single time! 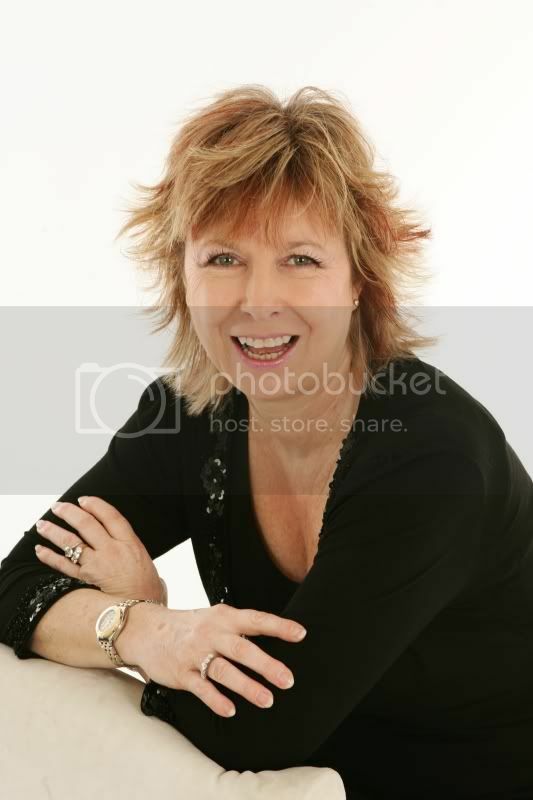 A New York Times, USA Today, and international bestseller, Jill Mansell has written over 20 funny, romantic novels, and has sold millions of books around the world. Jill lives with her family in Bristol, England. For more information, please visit www.jillmansell.co.uk or follow her on Twitter: @JillMansell. Fun interview! Mansell writes such wonderful characters. Wonderful interview -- I hear nothing but raves for Mansell's books -- everyone loves her! Loved this interview! She's one of my favorite authors. No need to enter me, as I already have a copy and can't wait to read it! Fun interview -- love Jill's books! Also enjoy the covers--they make me feel like I've popped over to England just for a moment. I'm new to Jill's books and love the sound of this one! Great interview and the book sounds delicious. Don't eavesdrop on me... you might fall asleep. ;) What a fun interview! Would love to win. I love her books. Thanks for the giveaway! I have yet to read a book by this author so I would love to win. Thanks! Don't enter me. I am reading this now and am enjoying it very much. Great interview. I'd love to be entered. Thanks for the great interview and congrats to Jill on the newest release! Sounds fantastic :) Thanks for the giveaway! I've worked at home myself for the last four years and I have to agree about the commute being a great improvement. Switching on my computer and grabbing a cup of coffee beats the heck out of waiting for the bus in the snow. Thanks for the chance to win a copy of A Walk in the Park. Really looking forward to it. Yep, I don't miss commuting either, but staying home and taking care of toddlers full time is stressful. Does she still suffer the fear of being alone since she is alone all day writing? I love feel-good fiction, especially during these gloomy days. I'm participating in the giveaway with my US address. Thank you for the opportunity. lovely interview! This sounds like a fun book...I like good things to happen to good people but unpredictability is always nice too. She's a hoot and that's probably why I love her books so much. She's real!!! Yay! Enjoyed the interview and thanks for the chance to win! Congrats on the release. This book sounds fantastic. Can't wait to read it. Thanks for the fun interview and giveaway. Wonderful interview and the cover of the book is adorable. Great interview. This book sounds wonderful. I would love to read about all the secrets the book contains. Please enter me. Thanks!